Whether one is an experienced hiker or a novice, learning more about this great outdoor activity is always a plus. Listed below are some books that not only include helpful Hiking Tips but information about some of the better known trails. Take some time to look for them at the local library or book store; they will bring many hours of reading pleasure and perhaps inspire a visit to a new hiking trail. Car Camping for Everyone by Mary and Bill Burnham (Morris Book Publishing, 2009) is a well written book that offers tips for the whole family. Whether you are planning a solo hike, a trek with other experience hikers or are introducing your children to the joys of hiking this book has valuable information on day hiking, menu planning, hiking and camping gear and much more. Follow the Trail: A young Person’s Guide to the Great Outdoors by Jessica Loy (Henry Holt & Company, 2003) is written especially for children, though adults will find it a pleasant read. Ms. Loy explains through an assortment of artwork ways that children can help plan, prepare and participate in all the fun found when camping out. There are chapters on setting up camp, wildlife, tracking, games and even a Master Camper Certification quiz included. 100 Classic Hikes in North Carolina by Joe Miller (The Mountaineers Books, 2007) includes directions, level of difficulty, elevation, length of expected hike time and when the trail(s) are accessible. There are photographs of many of the hiking areas as well as a description of the trails terrain. The book also includes information about area landmarks and attractions. Hiking the Blue Ridge Parkway: The Ultimate Guide to America’s Most Popular Scenic Roadway by Randy Johnson (Falcon Guide, 2003) offers trail by trail descriptions of this beautiful hike. The book is divided into 4 sections- the North Central Blue Ridge, the Blue Ridge Plateau, the High Country and the Southern Appalachians. For each trail hikers will find information concerning difficulty and type of trail, milepost, and the sights to be seen along the trail. This book also directs hikers on where to find information such as maps, overnight lodging, and where there is boat access, should the trip include rafting as well as hiking adventure. Dayhiker: Walking for Fun, Fitness and Adventure by Robert S. Wood (Ten Speed Press, 1991) Whether one is looking for a informative book about hiking with the family in tow, or looking to begin a new activity, this book offers a plethora of information t o help with determining one’s needs. There are chapters on topics like types of clothing, how to train, backpacking know-how, and many practical tips for enjoying this adventuresome sport. Hiking North Carolina a Guide to nearly 500 of North Carolina’s Greatest Hiking Trails by Randy Johnson (Falcon Guide, 2007) gives step by step information on how to enjoy and explore the many trails of North Carolina. There are photos, road signs, trail information, and more in the helpful book. For hikers who plan to spend some time hiking in North Carolina, this is one of the best guides available. 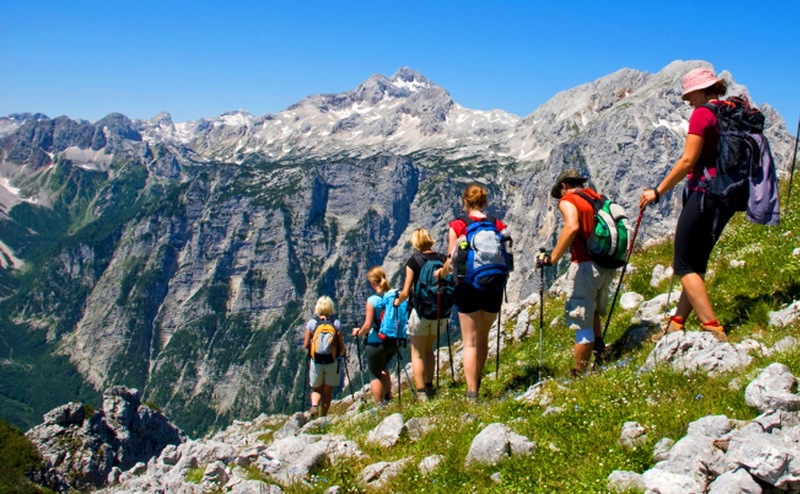 Hiking is one of the fastest growing sports activities today. Take some time to discover the great outdoors. There is so much to be explored and it can be done by taking a step at time. Pick up a few of these books and before long, taking a hike will be an important part of the weekend’s schedule.